Yazoo Records #5. 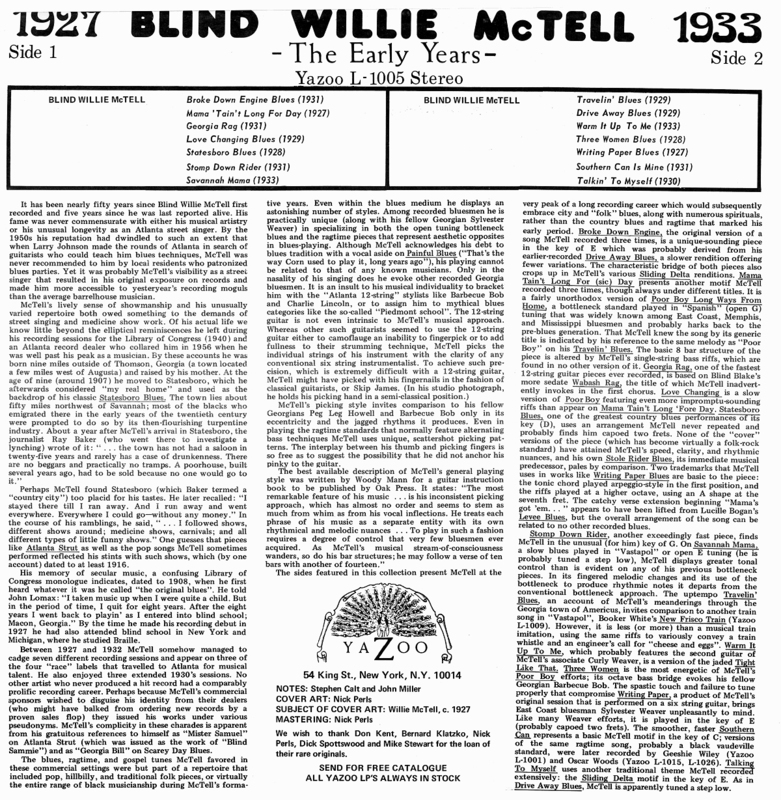 Blind Willie McTell – 1927-1933. The Early Years (L-1005) LP 1968.